In the second book in the Kauffman Amish Bakery series, a widow discovers her deceased husband had disturbing secrets. As she tries to come to grips with the past, she considers a loveless marriage to ensure stability for her young family--with her faith in God hanging in the balance. Take a trip to Bird-in-Hand, Pennsylvania, where youll meet the women of the Kauffman Amish Bakery in Lancaster County. As each womans story unfolds, you will share in her heartaches, trials, joys, dreams &hellip; and secrets. 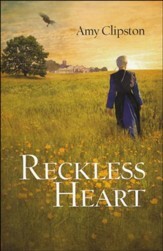 Youll discover how the simplicity of the Amish lifestyle can clash with the "English" way of lifeand the decisions and consequences that follow. Most importantly, you will be encouraged by the hope and faith of these women, and the importance they place on their families. 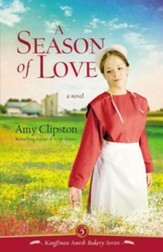 In A Promise of Hope, the second installment in the Kauffman Amish Bakery series, bestselling author Amy Clipston continues to unfold the tensions, loves, and faith of the inhabitants of Bird-in-Hand, Pennsylvania, and the family bakery that serves as an anchor point for the series. 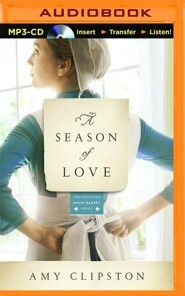 When Sarah Troyer tragically loses her husband Peter, she is left to raise infant twins alone. Overwhelmed and grieving, she lives with her parents in the Amish community of Bird-in-Hand, Pennsylvania. Sarah is taken completely by surprise when a stranger arrives claiming connections to Peters pastPeter had told her he was an orphan with no family. 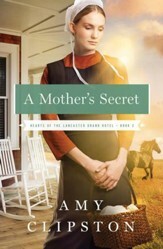 From Luke, she learns her husband hid a secret life, one with ramifications that will change her own. Sarahs family, concerned for her and the future of her twins, encourages her to marry again. It should make sense &hellip; but Sarahs heart says no. She feels trapped. Should she marry a man she doesnt love? Or discover if her growing interest in Luke can be trusted? 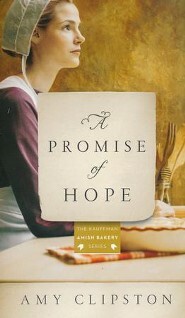 A Promise of Hope is filled with surprising twists that will grip you to the very last words. 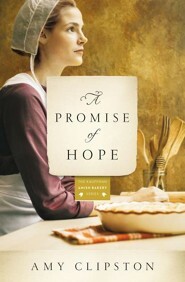 I'm the author/artist and I want to review A Promise of Hope - eBook.